We had a lovely day out at National Trust 'unstately' home Calke Abbey, near Derby, yesterday and so many photos I took could have easily made it as this week's #MySundayPhoto. I'll be sharing more about our day out soon and also some more pics of my boy as he ran wild and free yesterday and I'm amazed at his development lately. 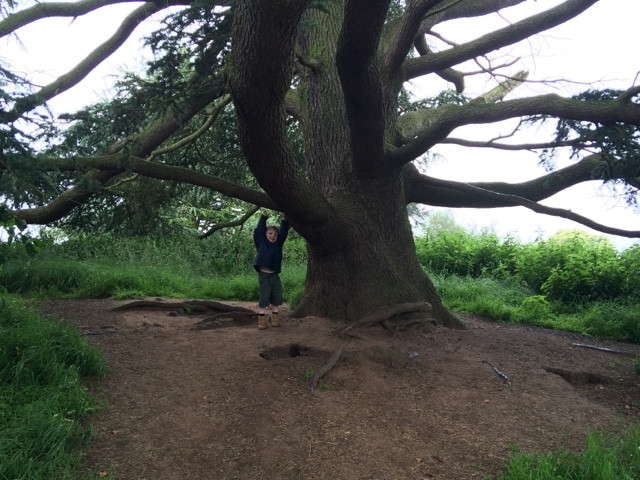 For now, I want to share this photo; we found this wonderful, old tree and some of the branches were low enough for Ethan to try and reach.